Merry xmas to you all from NZ, stay safe falcon fam. It's boxing day here now but thought I'd wait till it was xmas in the US. Falcons clinching the division was the perfect gift for me. Look after.you and yours and once again have a merry xmas. Merry Christmas, Happy Hanukkah, Happy Kwanzaa, Happy St. Lucia Day, Happy Boxing Day, Happy Omisoka - HAPPY HOLIDAYS! No matter what you celebrate or which team you follow - I hope you enjoy all that is close to your heart during this time and I wish you happiness and love! 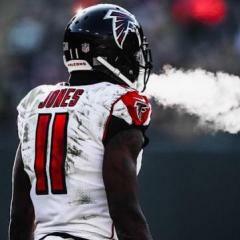 Go Falcons - Rise Up! Hey Bro all the best to you and yours. Back on the coast just about to go for a DIVE. Seas pretty dirty but I gotta get wwet lol.. I spent the day watching red zone and watching our team online. LOL not me Bro I had the TV and the house to myself. By the time they got back the feed was ready.I had to do JACK all day bar watch the games and had my stash of Beer alongside me in the fridge. Great day for me.Even snuck the air con on because it was so **** hot. Can't bloody complain with that. I had my first 'white xmas' meeting Mrs family for the first time. Terrible terrible yarns haha. Where abouts down the coast are you bro? We are in Gisborne for the most part. We are camping and have a site setup at Turihaua Beach about 15 minutes out of Gisborne. We dive on that spot or Poawa round the corner.